It’s a tradition here at The Daily’s sports desk that graduating seniors, in their final story for this publication, write a senior column. Lately, they’ve been pretty depressing. Bobby Pilotte discussed his complicated coming to terms with the “dark side of college athletics.” Max Schuman addressed his concerns about sports facilities diverting investments from more worthy venues. Max Gelman maligned NU’s newfound athletic self-laudation. That’s not the way college sports should be portrayed. The topic certainly isn’t without its fair share of moral quandaries — compensating players, diagnosing concussions, managing Title IX-mandated scholarship rules, diverting athletic revenues to non-athletic purposes, and so forth — but to focus on those is to seek out a few rotten apples in a healthy orchard. Because in doing so, we overlook what college sports can do arguably better than anything else in human society: Unite us. It’s no secret that I have often been one to spotlight the uplifting stories of sport, whether it be lacrosse videographer-turned-attacker Holly Korn’s inspirational career turnaround, late NU football coach Ara Parseghian’s largely forgotten yet beloved legacy or 2017 men’s basketball captain Sanjay Lumpkin’s unheralded dedication to his team’s NCAA Tournament dream. One of my most recent stories, on the movement in Sidney, Ohio, to support the local high school and its former star, Isaiah Bowser, might nevertheless be my favorite. The synopsis is simple: a small manufacturing town, struggling economically and athletically, rediscovers its identity when a special person and a special team unifies the community. It’s an all-American story really, the type someone might expect a movie to be based on, with perhaps a little dramatic license included for entertainment purposes. But it’s no movie. It’s real life. And it’s a prime example of what sports can do. Even at Northwestern, a school long known for its athletic ineptitude — so much so that some alumni actually, apparently, miss it — and still undoubtedly an academics-centered institution at heart, I’ve watched the Wildcats bring together students of all different races, backgrounds, majors, interests, political affiliations and social groups to cheer, high-five and even shake keys together in support of a common goal: an NU win. 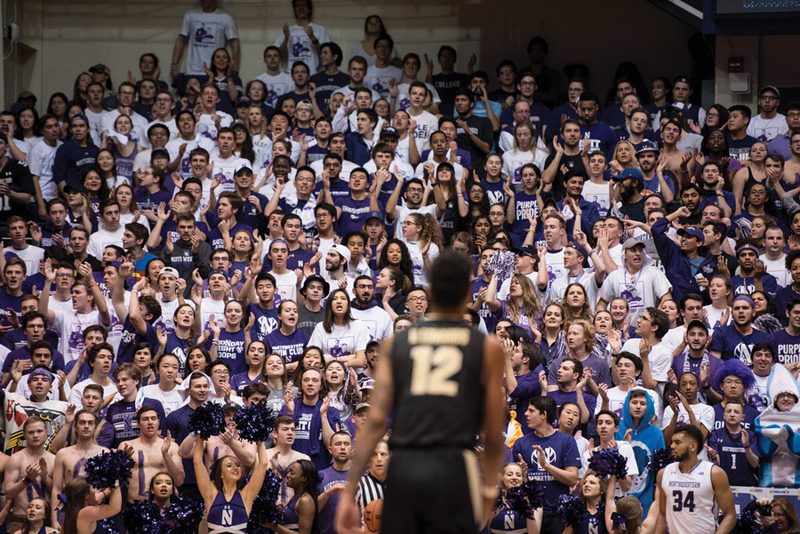 When the Cats score, Bienen students don’t worry about their pitch; when opponents score, Medill kids boo out their bias; when the fight song plays, McCormick engineers sing as loudly as anyone else. And sure, NU may not have the most fervid student support in the Big Ten (although I will die on the hill that its support is really rather normal, proportionally). When something truly important or interesting happens, this student body has shown it can love sports just as much as Badgers or Buckeyes. Just look at the student turnouts when men’s basketball makes history, or women’s basketball is playing through a tragedy, or football plays for a championship. The pageantry, the unity and even the impassioned tribalism of college sports can be spectacular, and in this era of increased criticism toward the industry’s shortcomings and corruptions, it’s important that we not lose sight of that. In this fall’s edition of Prof. Gary Saul Morson’s popular Russian literature class, the debate over whether “loving thy enemy” is humanly possible has featured prominently. I don’t get the sense Fyodor Dostoevsky and Leo Tolstoy were big college football fans (side note: yes, I’m aware the time period is off), but if they were, I think they would have realized the argument was a waste of time. When the Cats get a big stop on third down, I love everyone — even that despicably arrogant guy who sneered at me on every morning elevator ride freshman year. At least in that moment, we both want exactly the same thing, just like thousands of other students who otherwise hold their own unique identities in the world. In that moment, no one cares about multi-million-dollar fieldhouses or concussion risks or jersey licensing rights. In that moment, Northwestern is one. Looking at the whole orchard, the (positive) power of college sports is unmistakable.